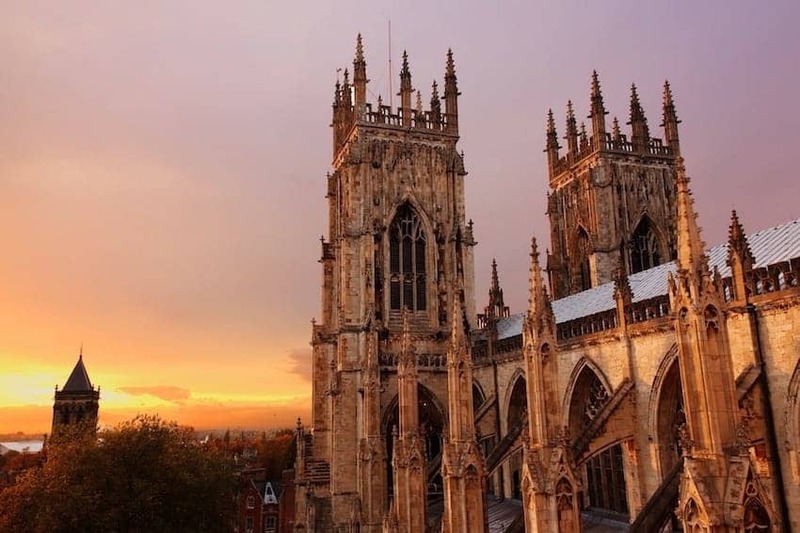 York Minster is one of the largest cathedrals in Northern Europe. The first church on the site originated in 627 while the present Gothic-style church, built 1220 to 1472, was designed to be the greatest cathedral in the kingdom. Highlights include the underground chambers and the medieval stained glass windows and stone masterpieces. Visitors can climb the 275 steps to the Central Tower, the highest point in the city.